Top row (left to right): 1. Mr. Giblin, 2. Mr. Allison, 3. Mrs Henderson, 4. unidentified, 5. Robin Lombard, 6. unidentified, 7. unidentified, 8. unidentified. Second row: 1. unidentified, 2. unidentified, 3. no picture, 4. no picture, 5. no picture, 6. no picture, 7. unidentified, 8. unidentified. Third row: 1. no picture, 2. unidentified, 3. unidentified, 4. unidentified, 5. unidentified, 6. unidentified, 7. unidentified, 8. no picture. Fourth row: 1. unidentified, 2. no picture, 3. Gary MacLeod, 4. unidentified, 5. unidentified, 6. unidentified, 7. no picture, 8. unidentified. Fifth row: 1. unidentified, 2. unidentified, 3. no picture, 4. unidentified, 5. unidentified, 6. no picture, 7. unidentified, 8. unidentified. Credits: From the collection of the Lombard family. 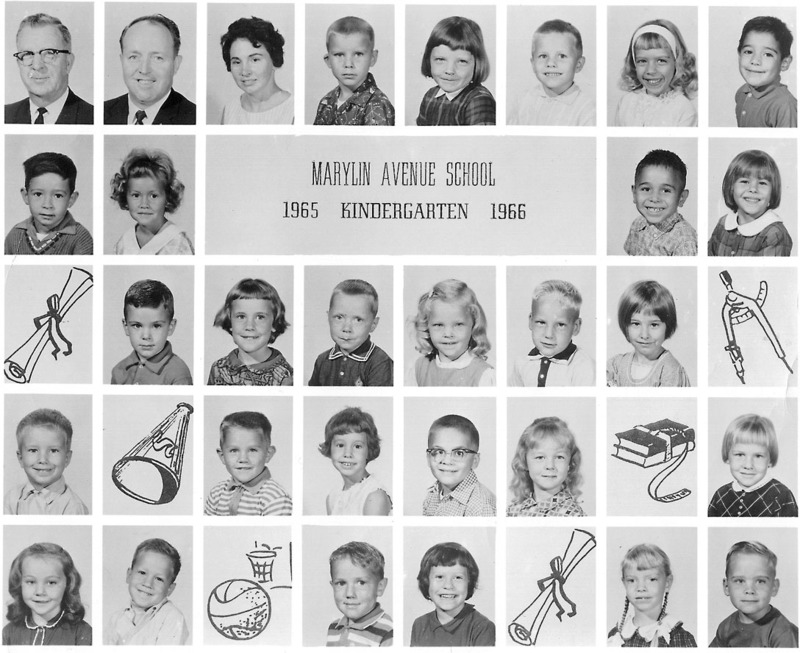 Thanks to Kathy (Lombard) Kammer, Jim Tinder, Lee Engle, and Tony Ramos for identifying the people in this picture.